hi there! 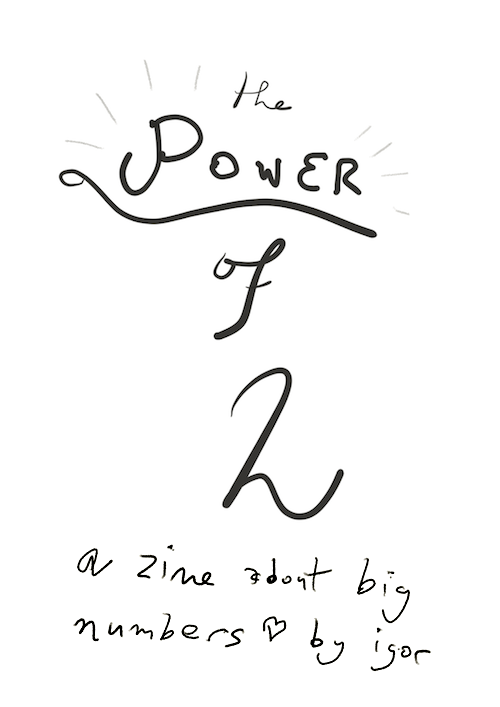 ðŸ’œ the power of 2 is a zine about big numbers! ðŸ’» pdf to read on your computer! ðŸ“– pdf to print as a booklet! thanks to margaret for helping make this happen! thanks to julia for writing a guide on how (and why) to make a zine!